What Makes Pilates Studio City Innovative and Inspiring? Our Teacher Trainers! 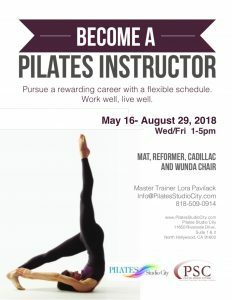 Every summer Pilates Studio City begins buzzing with new energy as it gears up for another class of teacher trainers. 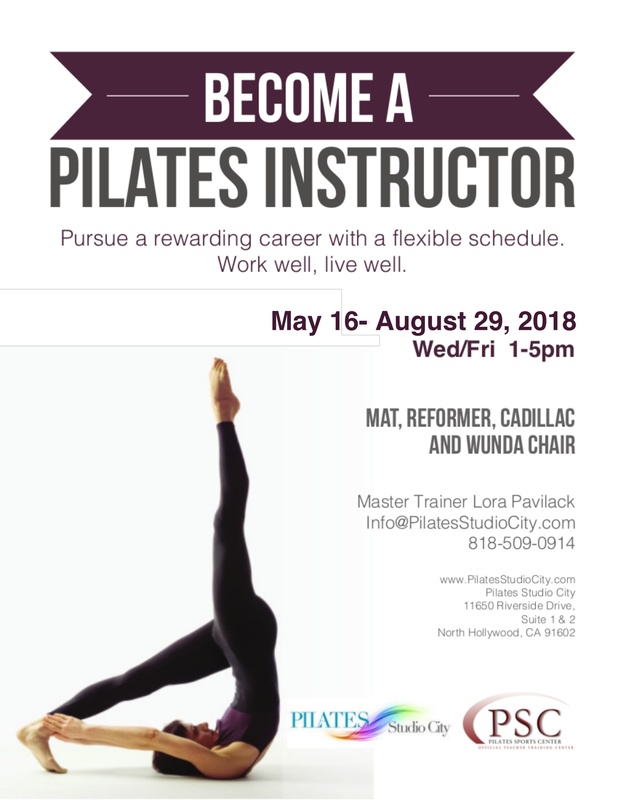 The Pilates Teacher Training Program takes place between mid-May and August and is taught by the studio’s owner and Pilates Sports Center Master Trainer Lora Pavilack. As a graduate of this program, I am always struck with nostalgia as the program begins each summer. However, the presence of a Pilates teacher training program at the studio does more than wash me over with memories; it creates an environment that promotes learning and growth and pushes all of PSC’s stellar instructing team to grow and develop their craft. It was not long after I graduated that I approached a co-worker, an instructor I highly respected, for advice on becoming a better instructor. She gave me a few tips as far as resources, workshops, and workouts, but the best advice she gave me by far was that I will continue to learn from each client. More than a little troubling, this bit of advice left me anxious and confused. If I were to learn from each client, when would I be done? How could I be an authority on the body and Pilates if my clients were to teach me? Of course, that was the point. I am never done growing as a teacher. As soon as I could wrap my head around the idea that I did not need to know everything to be an effective teacher and that I could and should learn and grow from each client that walks into the studio, my craft of teaching grew exponentially. My approach to each client and their unique body needed to be fresh, open, humble, and versatile to be effective. While I am committed to increasing my knowledge of the body via study, workshops, and conferences, I always remember that my craft as a teacher grows from the client, not a diagram. The instructor who passed along this priceless bit of advice to me graduated from the Teacher Training Program the year before I did. Since then I have had the privilege of passing along the same advice to many new generations of teachers and watching them find their teaching voice. They remind me and the entire team of instructors that we were once clients, and then students, and now instructors with a craft that we need to continue to cultivate and grow. The entire studio benefits and grows, and so I am very thankful and excited to be instructing at a studio that holds a Teacher Training Program, pushing each one of us to grow and improve ourselves. “The teacher training program at PSC is an amazing journey that first deepens the trainee’s understanding of her/his own physical body, creating mind-body connections that are much deeper than those experienced before via intense study, both independently and in the classroom. Even if a trainee does not become a teacher, the sense of embodiment that comes from the teacher training program makes it a priceless experience.